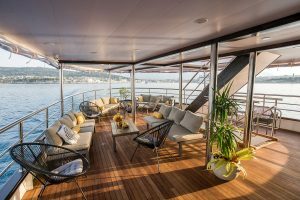 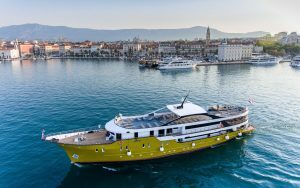 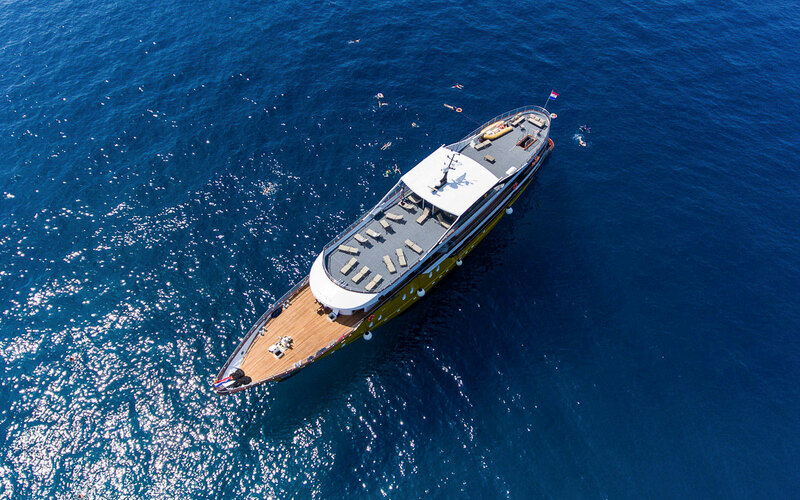 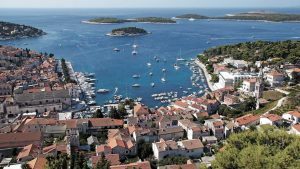 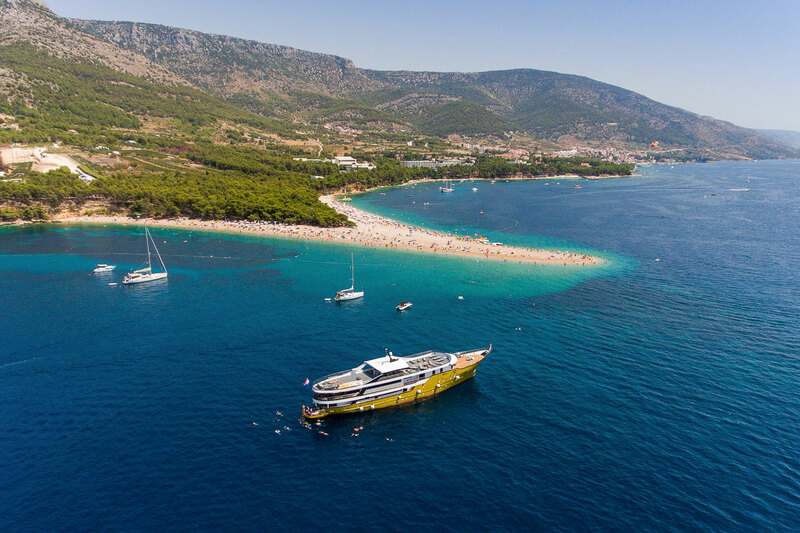 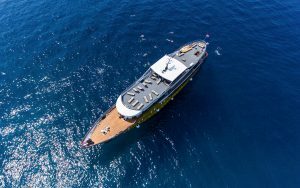 MS Arca is a deluxe vessel, with maximum capacity of 38 passengers in 19 twin and double cabins. 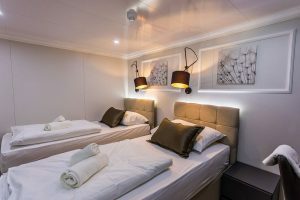 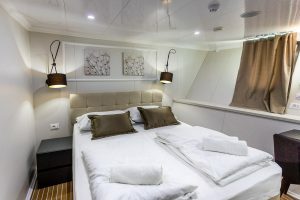 All cabins are modern and fully equipped with A/C, LCD TV, safe deposit box, fire alarm, internal communication system between room and bar. 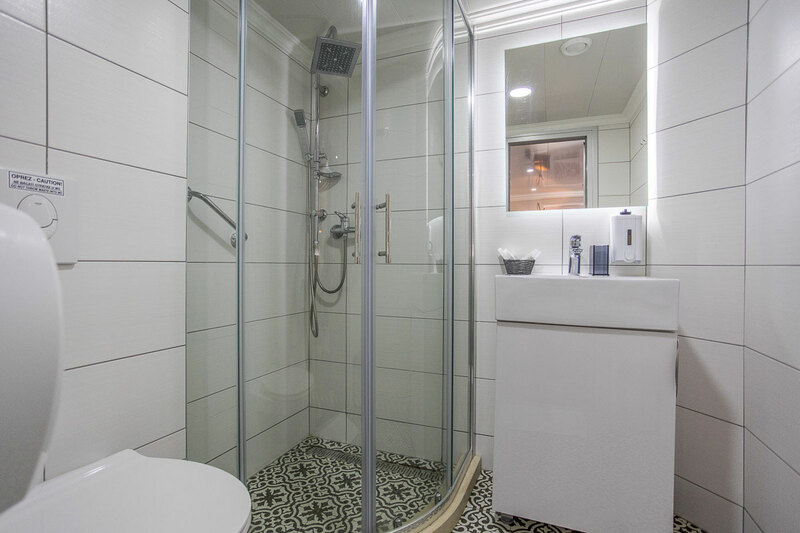 Bathrooms are equipped with toilet, shower, wash basin, hair dryer, slippers, bathrobe, and for added convenience cosmetic package. All cabins are sound-proof and each cabin comes with the fire-proof doors. 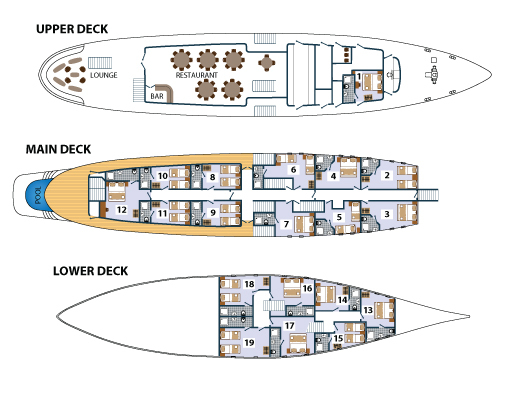 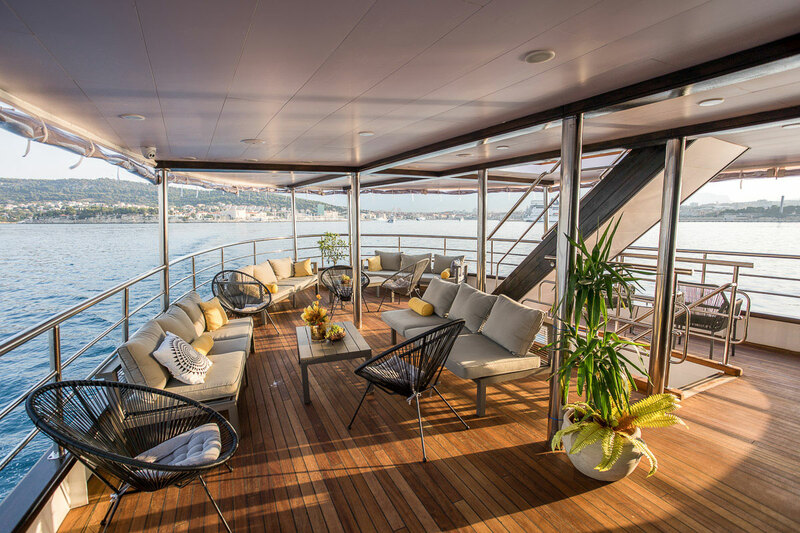 A fully air-conditioned upper deck dining room can accommodate all passengers at once, yet offer a great degree of privacy for each guest. There is free wireless internet (Wi-Fi), loudspeakers, audio-system, and a direct telephone communication cabin-bar on board. 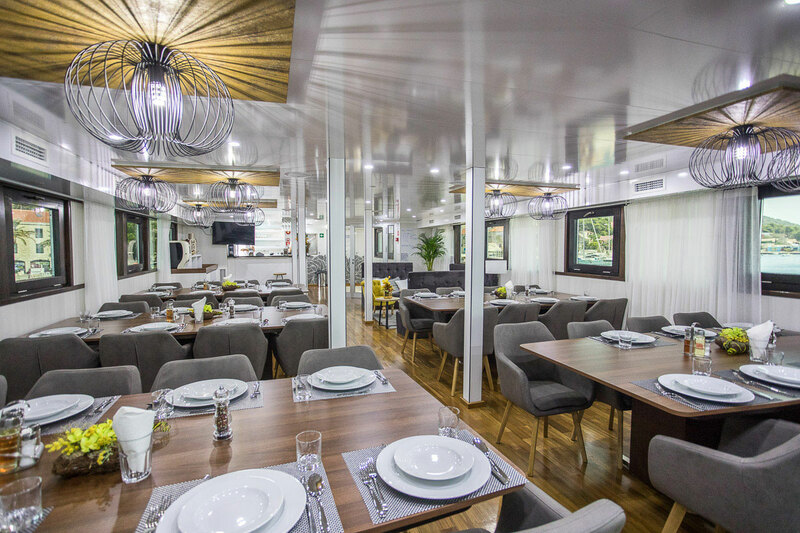 The kitchen is made in line with the latest HACCP standards. 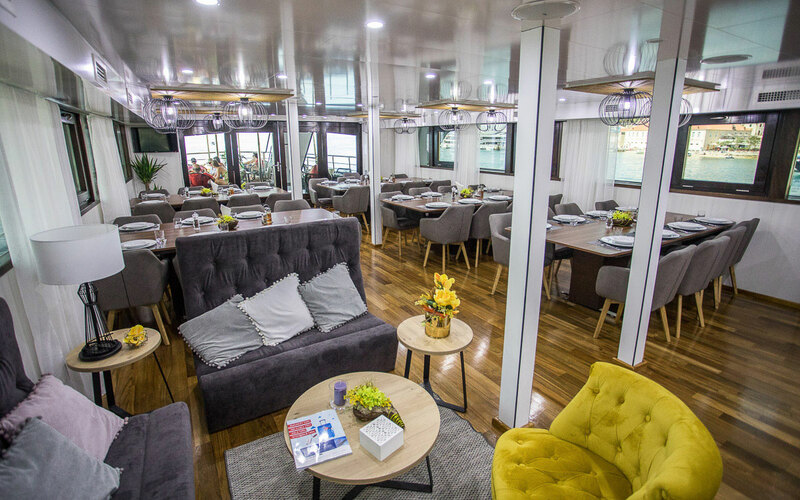 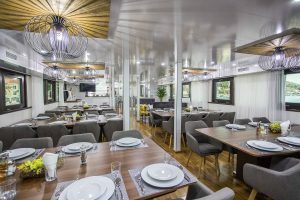 An extension of the restaurant is outdoors, on the covered part of the upper deck, spacious enough for all passengers and tables, chairs and including one public lavatory. 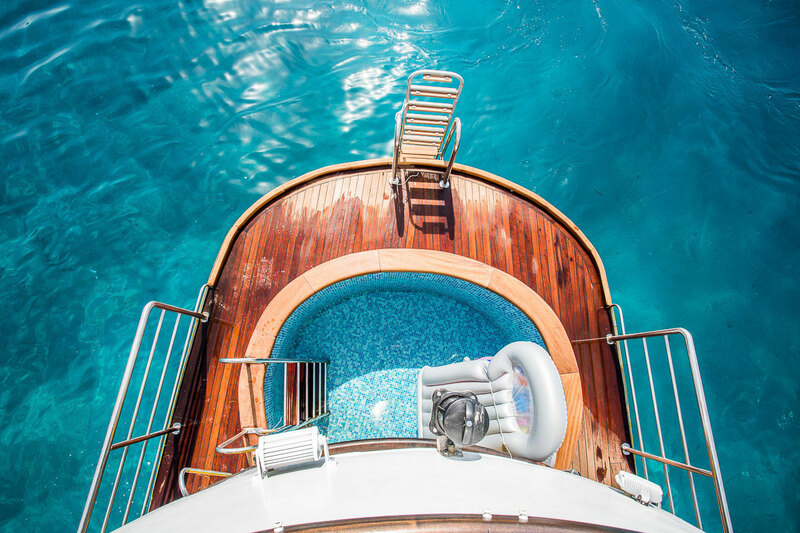 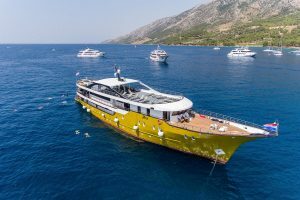 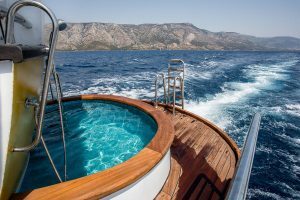 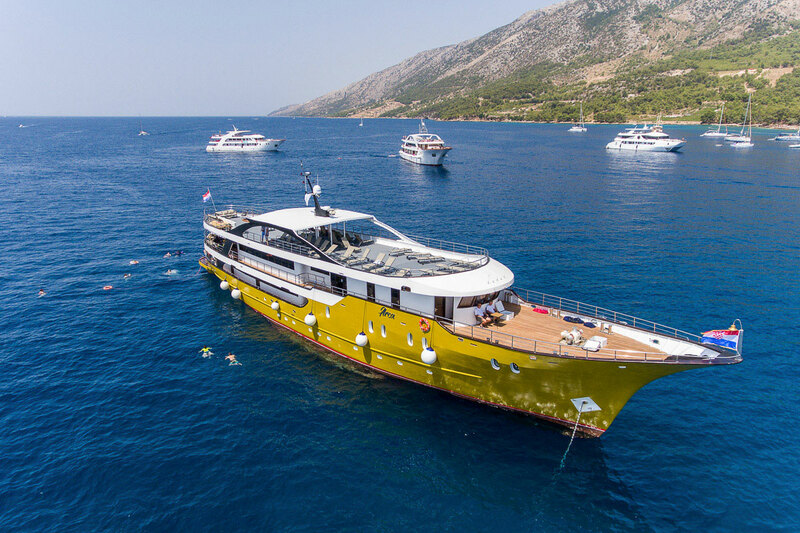 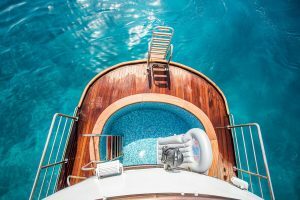 To make the most of every swimming opportunity, there is a platform with a ladder for easy access to the water, as well as small swimming pool at the rear of the ship.